In 1859 the Frenchman Charles Louis Desiré Dupin, a lieutenant colonel in the French army of the orient, was promoted to Head of the Topographical Service of the Expeditionary Corps to China, and left for Shanghai. Almost immediately after his arrival in China he was promoted to Colonel. When Dupin arrived in China the second opium war had been raging for three years and would continue to do so until October 1860. Dupin, apart from being a fine sportsman, was an acomplished amateur photographer and soon after his arrival in China he started taking photographs. Approximately, 30 of these photographs were published by the French firm of Ferrier & Soulier as stereoviews on both glass and paper in 1861. 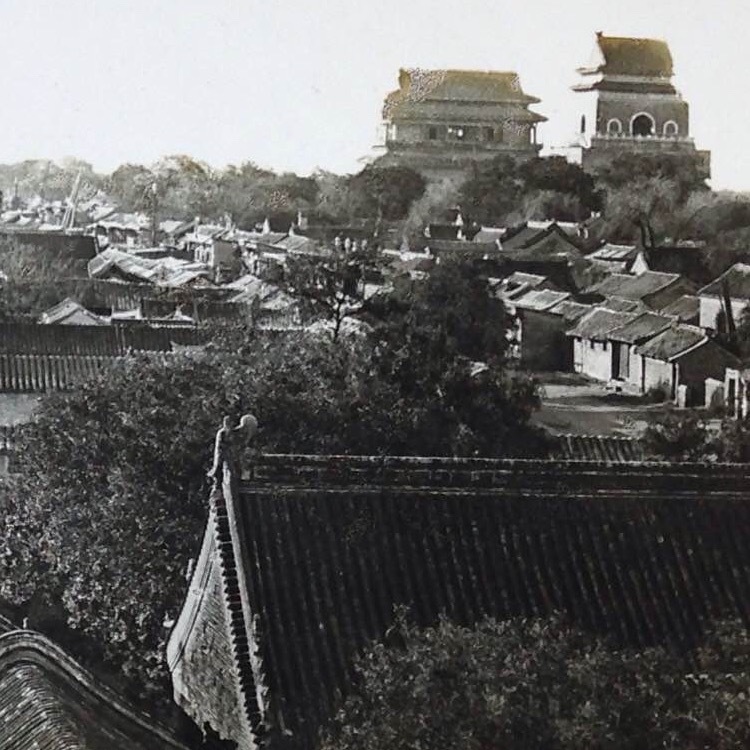 They consist of landscapes and portraits taken in 1860 in Shanghai, Chefoo (Yantai), Tientsin (Tianjin), Tung-Chow (Tongzhou) and Peking (Beijing). These important photographs, taken with a single lens camera, are among the very first photographs of China. 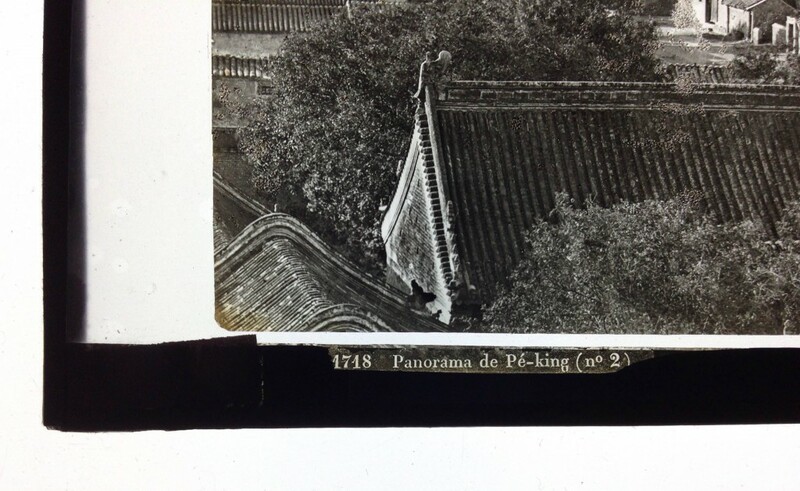 Source: History of Photography in China 1842 – 1860, Terry Bennett, Quaritch 2009. 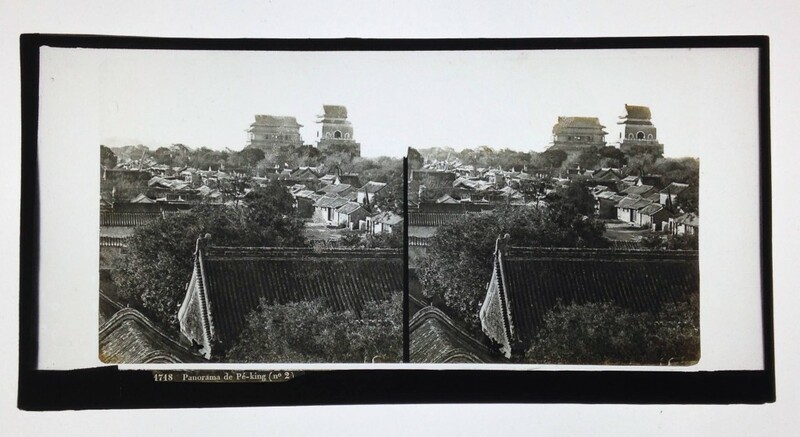 The view offered here for sale is a Panorama of Peking, showing – what I presume to be – the forbidden city with to the right the wall with its two pavilions surrounding the forbidden city (but I stand to being corrected). The view was published by the firm of Ferrier (father and son) & Soulier in Paris in 1861. 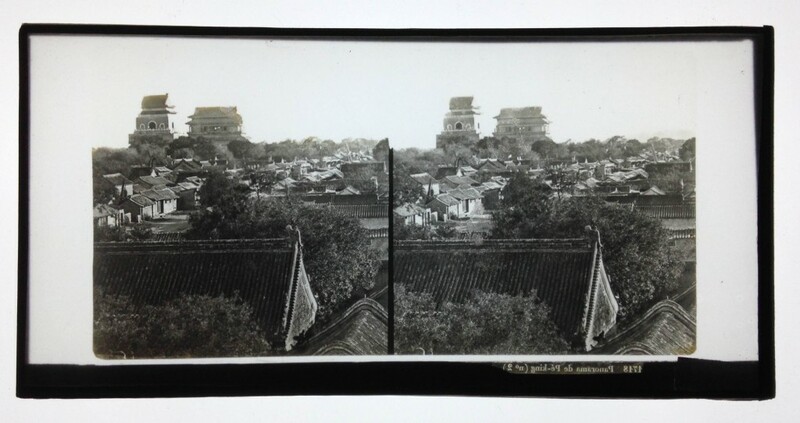 The stereoview is in excellent condition – no cracks or losses – with good strong tones. I have seldom seen glass views of this early date in such good condition. Guaranteed original and not a reproduction.